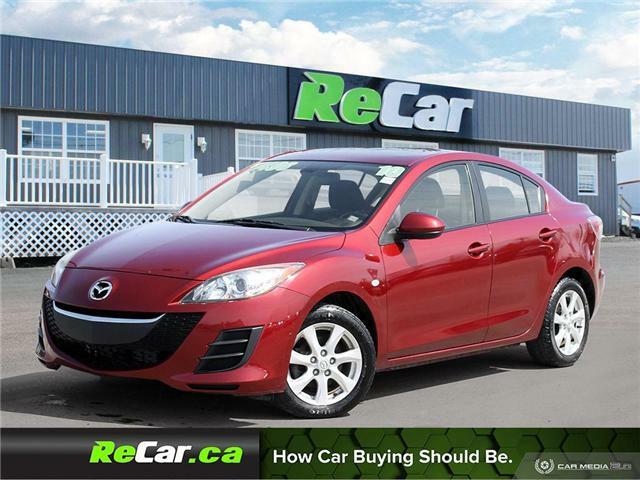 MAZDA 3 GT WITH HEATED SEATS, BACK UP CAM AND SUNROOF! REDUCEDD BY $1,000! SAVE $4,052 VS. NEW ON THIS MAZDA 3 GS WITH HEATED SEATS, BACK UP CAM AND SUNROOF! MAZDA 3 GS-SKY WITH BACK UP CAM FOR ONLY $59/WK TAX INC. $0 DOWN! AIR | SUNROOF | ONLY 78,000 KM! 2.0L 4-Cylinder Engine, 5-Speed Manual Transmission, Factory Mazda Keyless Entry, Bluetooth Hands-free, Power Sunroof, Power Locks and Windows, AM/FM Radio, Cruise Control and much more!